I was in Lafayette, LA today and decided to check out a liquor store there, Ambassador Wine & Spirits. What am I doing there? On the odd chance that they might have something Hokus Pokus doesn’t have (a tall order) I adventure into other establishments out of town. I found something very interesting- Barrell Bourbon Batch 7 b, one of their smallest batches from last year. 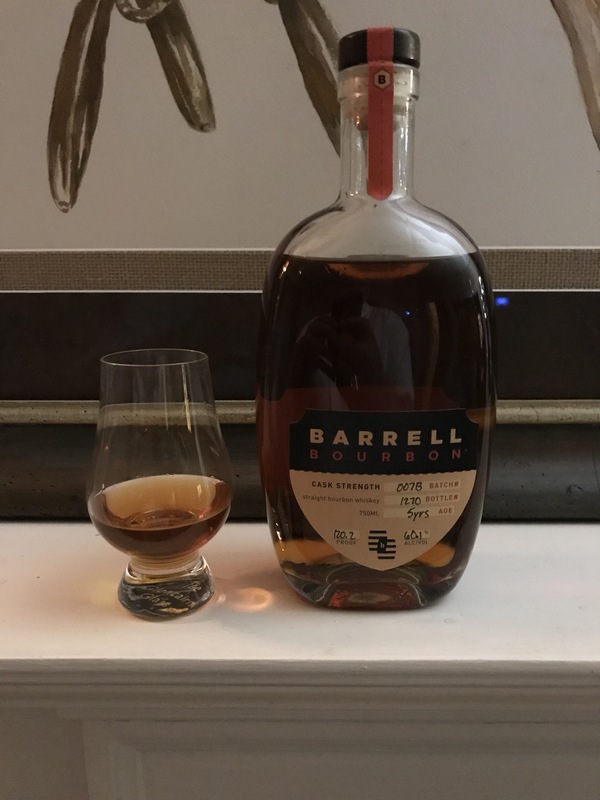 My experience so far is that Barrell, a non-distiller producer, really puts out great stuff; each batch of their product is different on purpose to deliver a different experience. This batch was a follow on to batch 7 because it sold out so quickly. This stuff is great. Brown sugar, butter and smoke on the nose; reminds me of the smell when they light Bananas Foster on fire at a fine restaurant. Palate is luscious; you almost don’t want to swallow it, you just want to keep tasting it. Very rich. Punches way above its weight class on age because of the tasty oak in the whiskey. Unbelievable. This stuff is five years old. On the finish, it has a nutty taste but it’s not offputting. Instead of peanut funk you get pecans roasted in butter with actually a hint of cayenne or chipotle pepper. It’s totally different from the usual baking spices you find in bourbon or rye. Well, after trying three of their different products, I highly recommend Barrell. Each batch is different and that’s actually great. These are creative, fun, worth the money whiskies.